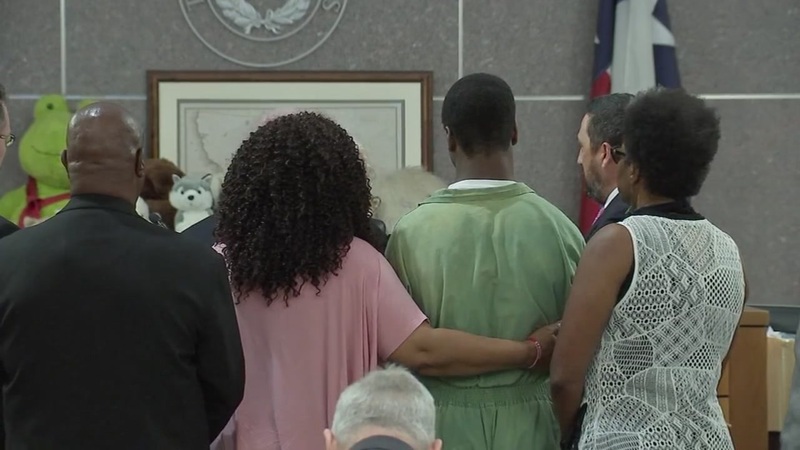 HOUSTON (KTRK) -- The teenager accused of murdering both of his parents as they slept was granted bond Tuesday. A judge set a $200,000 bond for 17-year-old AJ Armstrong. "We believe he's been in jail far too long," said Rick DeToto, who with Chris Collings serves on Armstrong's defense team. He said the family is working to post the bond and expects the teen to be released soon. On March 31, Armstrong was ordered to be tried as an adult for the shooting deaths of his father, former NFL player Antonio Armstrong, and his mother, Dawn. Both were shot last July in their Bellaire-area home. The state raised concerns about Armstrong's release. "Because of the magnitude of the charges against the defendant," said David Mitcham, the Trial Bureau Chief at the Harris County District Attorney's Office, "he's charged with a double homicide. In these matters, public safety comes into play." Armstrong was 16 when he was taken into custody for the murders. He told investigators an intruder was to blame. They found no signs of forced entry at the home. The teen was held in juvenile detention for months and not publicly identified until certification last month. His grandmother is now his legal guardian. "There's a lot of people out there who think he's a pretty exceptional young man," said DeToto. "We want to get him back in school, back with his family. He's been secluded 23 hours a day and sedated while in jail." Once Armstrong is released, he will return to court, where a judge may impose bond conditions. Though Armstrong is charged with capital murder, he is not eligible for the death penalty because of his age at the time of the offense.